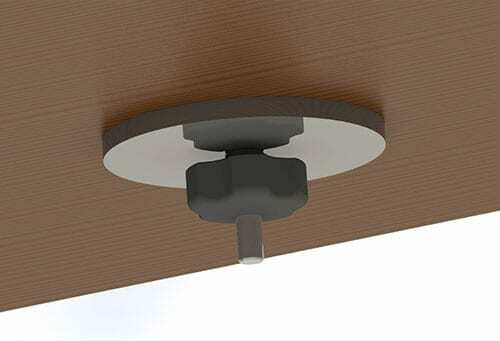 Designed for high-traffic retail environments, the height-adjustable 9183-15 POS mount raises monitor from 11-15″. This countertop POS mount includes Internal cable management and a through-desk mount. Retail environments require retail-ready solutions. 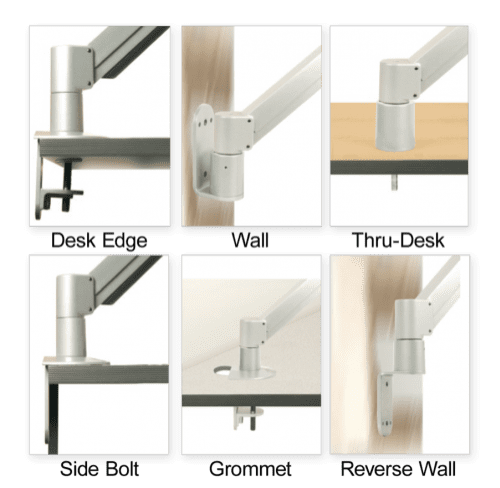 Model 9183-15 adjustable countertop POS mount features easy height adjustment, an attractive appearance, internal cable management, and durable construction. This monitor mount enables the height to be adjusted between 11" and 15". The monitor may be pivoted or turned to suit the user's needs; it can also be locked in position if needed. The mount height is adjusted via an integrated knob on the tube. Cables are kept entirely out of view (and out of harm's way) - they may either pass through the counter or exit behind the monitor mount. 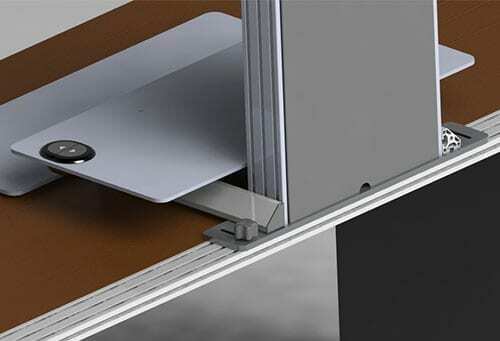 Countertop mount supports monitors, signature capture devices, kiosks, and more. Users can quickly adjust the monitor height from 11" to 15" above the counter. 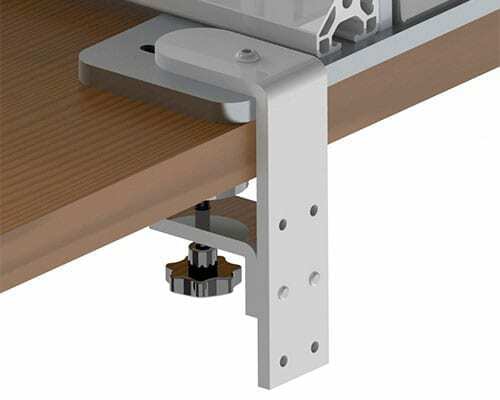 Monitor mount features internal cable routing; cables may pass through counter or exit behind the mount. POS display mount is made of durable construction and stands up to retail use. VESA-monitor compatible - 75mm & 100mm VESA adapter included; please call for non-VESA options.